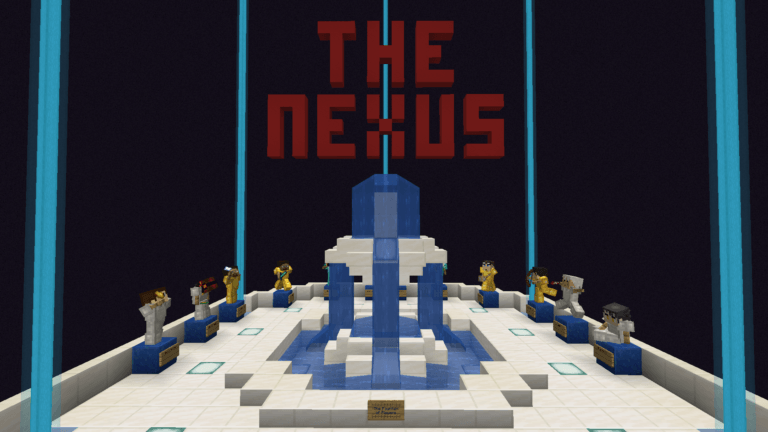 I am proud to unveil the new Nexus for the Demonreach Minecraft Server. The old Portal Nexus was located within Alpha, and is primarily used to get around Alpha. This new Nexus is its own world, created just for connecting all the worlds together. /spawn will now take you to this world. Perry helped me to construct something awesome here as well. We now have the “Hall of Never Again”, which commemorates tragic incidents that have happened over the years. We built small dioramas for each event, and it came out great! I have finally done it! 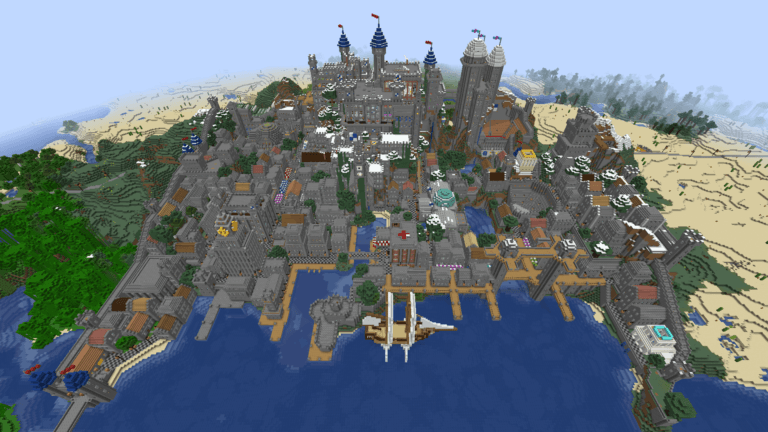 I have fit all of Imperial City into a picture! In the past, the server was limited on how much of a render distance you could use, regardless of what your client thought it could do. The last few days, Perry and I have been tweaking and fixing some lag issues on the server. Apparently one of the changes we made fixed the render distance issue, as I’m able to set insane ranges now! Here are some amazing full pictures of Imperial City! Sadly, my brother came by yesterday to retrieve the shedding brush he had loaned me. 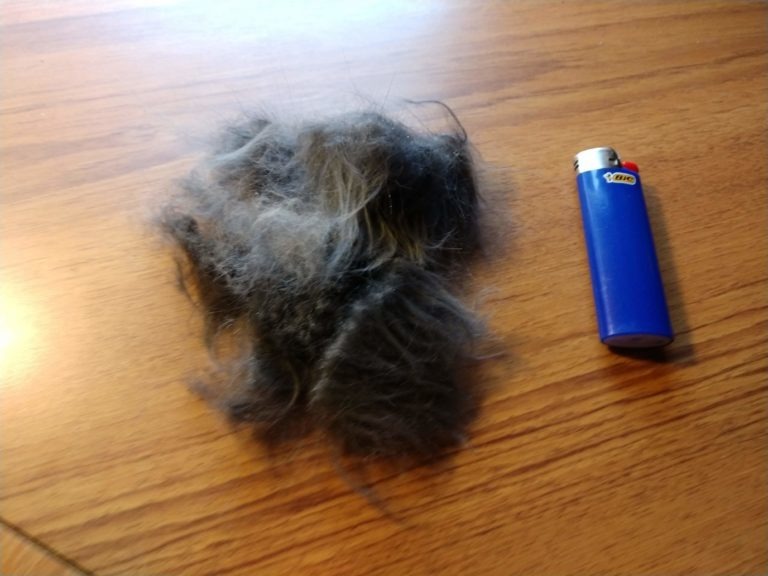 Buddy got his final brushing. I need to get me one of those brushes. Sorry for not posting all week (for those imaginary people that are reading this). I’ve been sick with a cold and generally miserable. Haven’t been sleeping well either. I’m feeling much better now, and I’m going to try and stream some Minecraft later tonight. In other news, I got a new phone!! This is my first new cell phone in over 6 years. Yes, I’m that crazy person. It had gotten to the point where my Droid MAXX just wasn’t cutting it anymore. I had actually started finding apps I couldn’t run as my system software was too ancient. 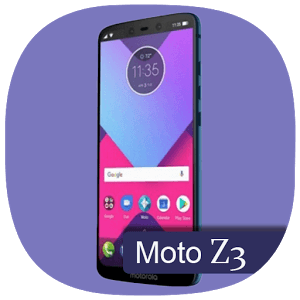 I got a shiny new Moto z3 on Wednesday as an upgrade – I was only two cycles overdue. I love it! I’m still figuring it all out though, as I jumped ahead like 4 versions of the Android System. Things are very different now. I started playing Minecraft 7 years ago today! 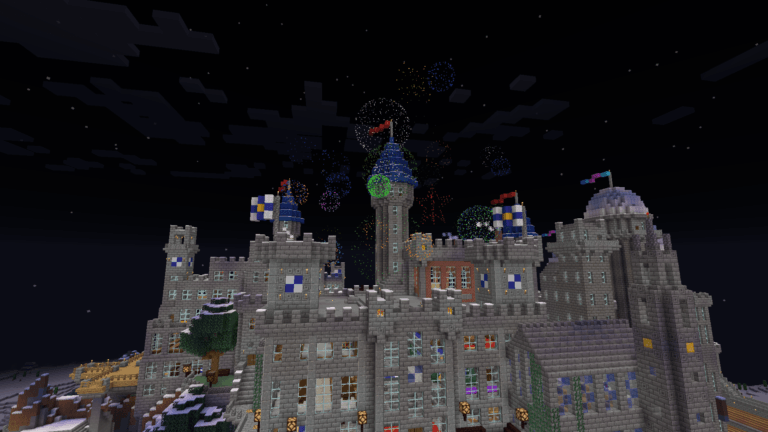 On April 7th, 2012 I purchased Minecraft and started my first world, aptly named “Alpha”. 7 years later, and the world is still going strong. I decided to celebrate by sharing some pictures taken on that first day, with pictures from about the same angle taken today! The first structure created on that day in 2012 was the original iteration of Cair Denbar. These pictures show Cair Denbar then and now. For more information about Alpha, visit this website! Holy Crap, I’m Playing Survival! The unthinkable has happened. I’m playing Survival Mode in Minecraft! 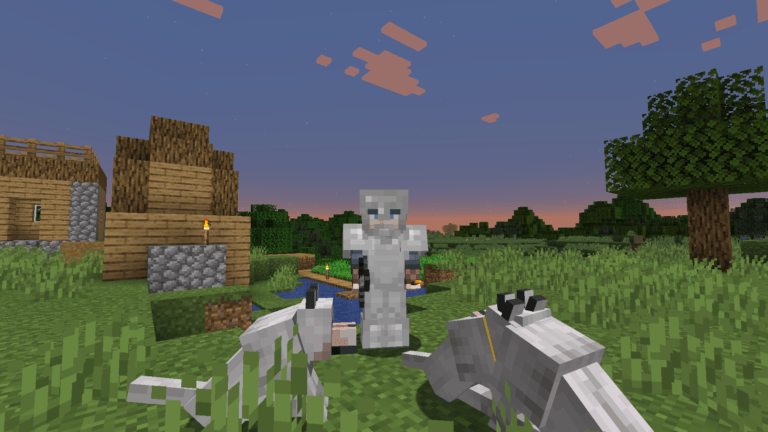 My friend Nick has decided to get back into it, and convinced me to play some survival with him today. The overall plan is to start a new survival world when 1.14 is released, but he’s horribly rusty & I’ve never played much survival. So we decided to start out on a world I already had that had been abandoned a few years ago – PotatoSwag. Don’t ask about the name, please. I also managed to stream the entire time we played! The video is embedded below in this post. The others on the server with me were Nick (Korialstrazs), Perry (PerrBearr), and Caden (ChickenMan7777). Playing some survival Minecraft with my buddy! This blog will cover my ramblings, thoughts, adventures, mishaps, and much more! I’ve included several blog categories, my web design business, an extensive section about my Minecraft World and gaming, and some Family Genealogy. Just use the links at the top of the page! Below in this column, you will find links to all my other online accounts. If you’d like more information about me, click About Seth at the top of the page. Feel free to join the discussion by leaving comments, and stay updated by subscribing to the RSS feed (if you so dare).